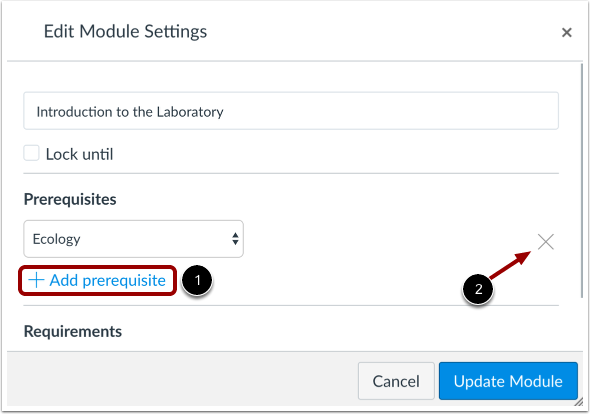 For each module, you can only set prerequisite modules that come before a specific module. You may need to reorder modules to create correct prerequisite availability. Please note that you cannot prevent a student from accessing an upcoming module unless requirements have also been set for the prior modules. Requirements indicate the order that students are required to complete module items. Note: You can only add prerequisites if you have added at least one module. Locate the name of the module and click the Options icon . Select the Edit link . Click the Add Prerequisite link. 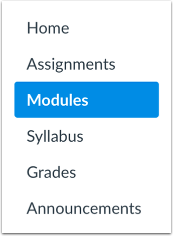 In the module drop-down menu, select the module students must complete before moving on. To add additional prerequisites, click the Add Prerequisite link . 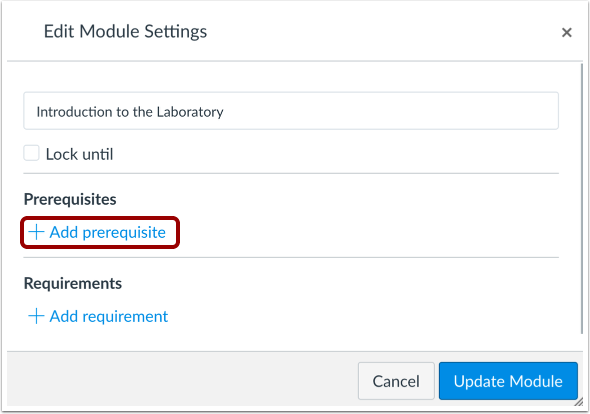 If you want to ensure students complete modules in order, you should add prerequisites for all modules that come before this module. To remove a prerequisite, click the Remove icon . Click the Update Module button. 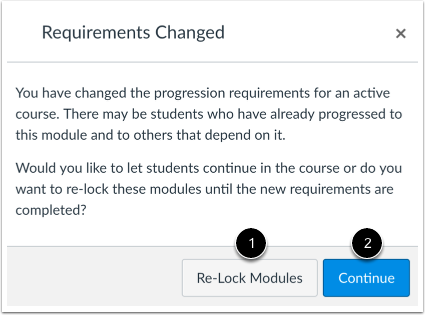 If you change prerequisites that students have already fulfilled, Canvas will ask if you want to let students progress through the course or re-lock the modules and require students to complete the prerequisites again. To re-lock the modules, click the Re-Lock Modules button . To allow students to continue without any changes, click the Continue button . 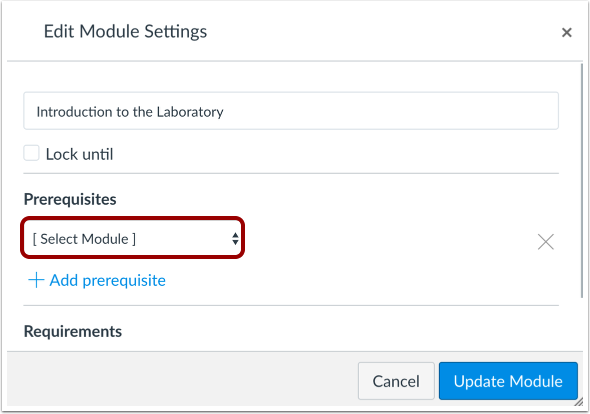 View your prerequisite(s) in the module header. Previous Topic:How do I duplicate a module? Next Topic:How do I add requirements to a module? Table of Contents > Modules > How do I add prerequisites to a module?